Is there any paperwork or document for the mechanical systems of 30 Hadley Crt, Aurora, Ontario? I need more information about the property at 30 Hadley Crt, Aurora, Ontario. How ist the neighborhood, location and nearby amenities for 30 Hadley Crt, Aurora, Ontario? I have questions about the roof, foundation, insulations and mechanical issues of 30 Hadley Crt, Aurora, Ontario? I need more information about property details. What's wrong with this house? Is this a short sale? Is there any maintenance for 30 Hadley Crt, Aurora, Ontario? What is this property worth in today's market? What are "closing costs", and how much? What steps should I take when looking for a home loan? What price home can I afford? Is my credit good enough to buy this house? What are the best mortgage options for me? How flexible is the seller on the asking price? How low can I consider offering for 30 Hadley Crt, Aurora, Ontario? Giant Lot! Nearly 7,000 Sqft Of Premium Land, Spanning 73 At The Rear, Landscaped To Perfection, W/A Crystal Blue Pool & Lush Gardens. 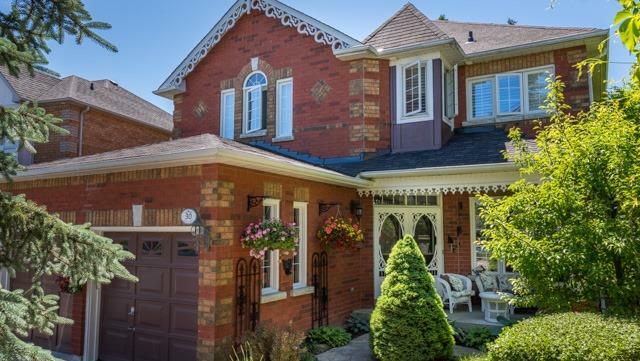 Relax In This Magnificent & Meticulously Renovated 3,500+ Sf Living Space, 4 Bdrm Home. Fully Renod, Thomasville Kitchen & Bathroom Cabinets (2016) W/Granite Tops & Flagstone Splashes. High-End S/S Appls, Hardwood & Ceramic Tiles T/O. Each Space Recreated & Ready For You. Live, Laugh & Love In Your New Home!